The first cannabis oil dispensary in Texas will open its doors this week, one of three medical marijuana facilities licensed by the state for epilepsy patients who suffer with a drug-resistant form of the seizure disorder. On Thursday, Compassionate Cultivation will begin administering lab-tested cannabidiol (CBD) extract oil to approved patients with intractable epilepsy (IE), a condition that affects one-third of all people with epilepsy. While prescription drugs do not work well to alleviate their seizures, low doses of cannabis oil show great promise. “Our company is dedicated to reducing the suffering of qualifying patients in the Lone Star State, and we are thrilled to offer the highest-quality medical cannabis products, with plants grown and refined by our cultivation and engineering experts at our state-of-the-art facility,” said Morris Denton, CEO for Compassionate Cultivation, in a press release. The company is located in the Austin area and offers delivery service to approved patients statewide. The CBD oil that helps curb seizures is made from non-euphoric marijuana extract. Technicians remove from the plant THC (Delta-9-Tetrahydrocannabinol), the compound in marijuana that produces the sensation of feeling “high.” The resulting cannabidiol is also known as high-CBD, low-THC oil. This form of medical marijuana is only available to state-registered patients or their guardians. SB 339 requires that prescribing physicians are certified by the American Board of Psychiatry and Neurology. They must also dedicate a significant portion of their medical practices to the evaluation and treatment of epilepsy, hold certain board certifications in epilepsy, neurology, neurology with special qualification in child neurology, or neurophysiology, and comply with registration requirements under the Compassionate Use Act. A patient must be a permanent resident of Texas and receive approval for CBD oil from two of the 18 physicians certified with the Compassionate Use Registry of Texas (CURT) program, although only one of these doctors needs to treat the patient. 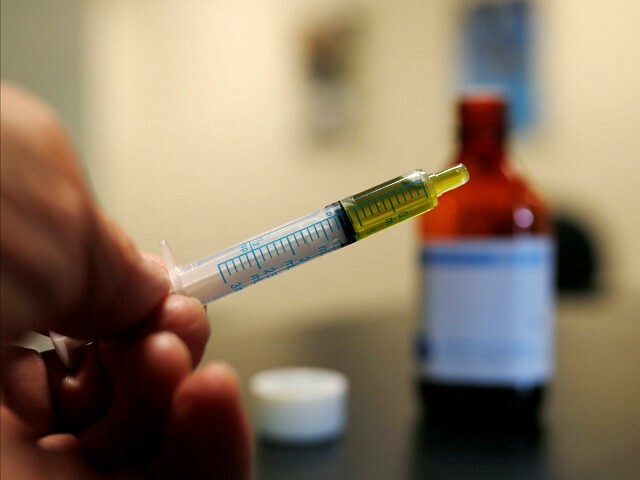 Compassionate Cultivation officials say they have worked closely with Texas lawmakers, patients, and advocacy groups, including the Texas Epilepsy Foundation, to ensure patients can safely and legally access high-quality cannabis oil products under the Compassionate Use Act. This medical marijuana company is one of three currently licensed with the Texas Department of Public Safety. Another is Cansortium Texas, part of Florida-based Consortium Holdings. It operates in Texas as Knox Medical and was the first provider to receive its medical marijuana license in the state. Reportedly, they delivered the first legal CBD oil to a Texas youngster last week. Surterra Texas, the third dispensary, is part of a Florida wellness company that already produces low-THC medical marijuana. They plan to open a grow site and processing facility in the Austin area, according to the Austin Business Journal. The National Conference of State Legislatures lists Texas as one of 17 states that permits the limited use of CBD oil for certain medical reasons.